NAB 2015 was a great time for us. A new location, a new booth set-up, and lots of new faces! We got to show off the dual LiteRings in crisp 4K on the video side, and used the FX Home software on the photographic side to pull some great insta-key photos for people stopping by! 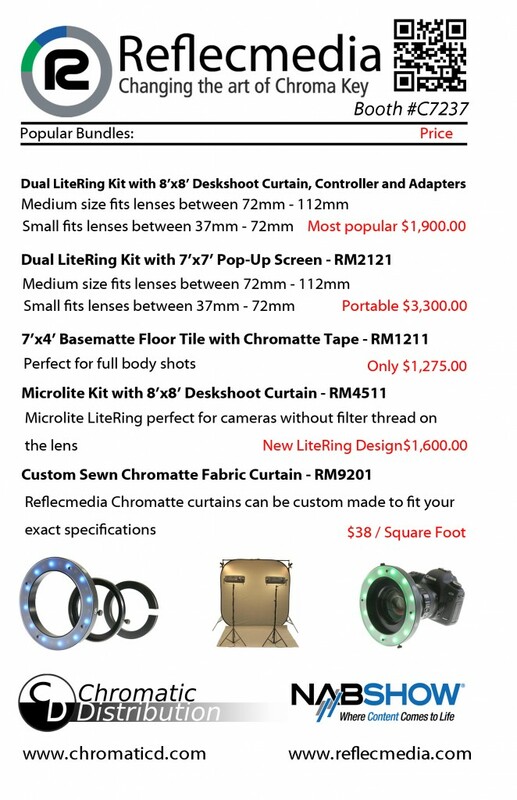 If you didn’t get to NAB, or simply didn’t have time to get to all the booths while there here’s our hand-out from NAB 2015, and as always, just drop us a line if you have any questions! If you’d like more information on Reflecmedia, or just have some questions, feel free to contact us!